Red Carpet Glam: a modern take on vintage glamour; socket shaping, liquid flicks, baking, contour and highlighting, perfect pout. 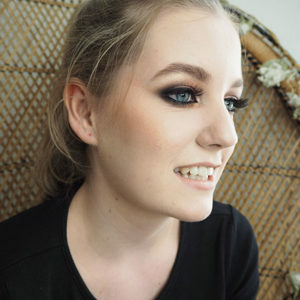 Instaglamour Makeup: get seen on screen; smoky eyes, colour pop, glitter effects, full on false lashes, cream contouring, statement lips. 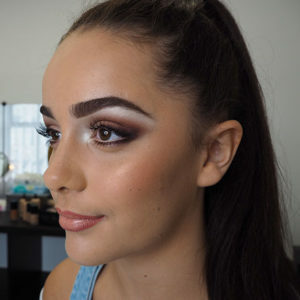 Glowy Bridal: fresh, dewy, natural but still looking glam; dewy base, warm shimmery eyes, fluttery lashes, glossy shimmer lip. 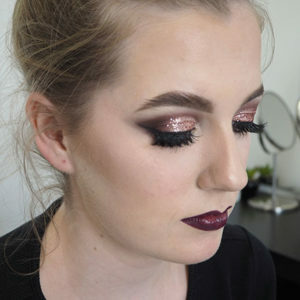 Photoshoot: we capture all three looks learnt on the course on day two with a professional fashion and beauty photographer. On day two I’m always so blown away by the work produced with only two days training! Check out our Pro Courses page for the next two day course dates. Hope to see you in the studio!